On this tour, you will travel onto the 325 square kilometres of solid ice, which can be up to 350 metres deep. Riding in a specially designed ‘Ice Explorer’, you will head up to a turnaround point on top of 333 metres of ice, where you will be treated to fantastic views of the glacier as it stretches out around you. 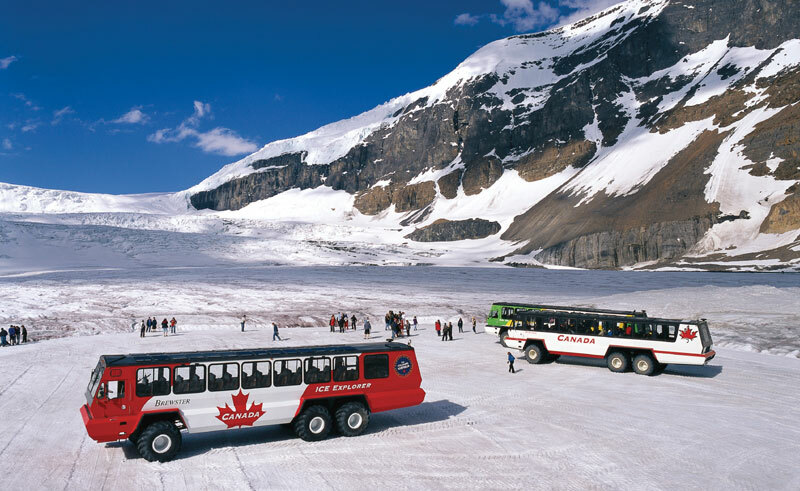 Your experienced driver-guide will share with you fascinating information about glaciers, icefields and their impact on our environment, before offering you the chance to safely step out onto the glacier itself and stand on this powerful and ancient river of ice. More colourful than many imagine, the multi-hued blues and sparkling whites of a glacier are almost impossible to forget and a sight that should not be missed. This compact self-drive itinerary focuses on two of Canada’s most beautiful areas. Explore the very best of Alberta and British Columbia on this 16-day self-drive holiday starting in Calgary and ending in the cosmopolitan city of Vancouver. Take an unforgettable rail journey across Canada from the Atlantic to the Pacific.